Custom built home on a quiet cul-de-sac. Front foyer is majestic & spacious with open stairs, vaulted ceiling, plus a bonus room to be used as you wish. The Kitchen, Dining & Living Room is open and leads to a gorgeous pergola covered deck.The living area is bright w/ tons of windows in addition to a gas fireplace & vaulted ceiling. Perfect for entertaining. A lovely half bath available for guests. A rare find of a master suite on first floor. Need many places to sleep? You will love the option of 2 bedrooms & full bath on upper plus 2 potential bedrooms & full bath on lower. The 3+ garage space enter into FF Laundry room & abundant storage, plus stairs to the LL. The lower provides a sprawling finished recreation room. 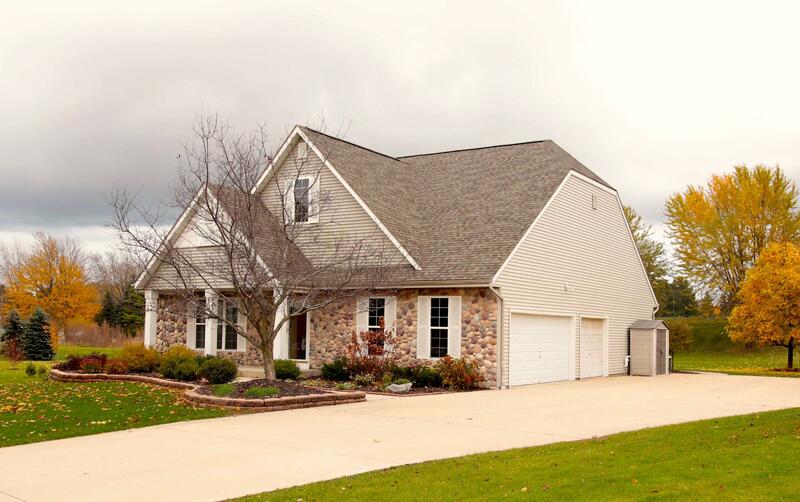 Mature landscaping & paver patio, tops off this Magnificent Home.